In a ceremony organised at the Lithuanian airbase of Siauliai the Belgian detachment participating in Operation Baltic Air Policing transferred its tasks to a detachment of the French Armée de l'Air's Escadrille de Chasse 01.012 "Cambrésis", based at Cambrai (Northern France). For the Belgians who in 2004 were the first to take on a 4 month guarding tour in the Baltic it was the second successful mission, the French delegation is at Siauliai for the first time with 4 Mirage 2000C fighters. The fact that the Baltic states consider these types of missions as extremely important was underlined by the fact that Lithuanian President Valdas Adamkus assisted at the ceremony. More on this ceremony and today's Lithuanian Air Force in a BAHA Special Feature. Pictures: 1/ Belgian F-16AM FA-115 and Armée de l'Air Mirage 2000C 117/12-KQ during hand-over 2/ Lithuanian President Valdas Adamkus receives information about the F-16AM FA-94 cockpit by the Belgian DetCO. 30/03 - Sabca almost doubles profits over 2006. The Belgian company S.A.B.C.A. specialised in Aerospace Design, Manufacturing and Customer Support has booked a net profit of 6.57 million Euro, almost double the 2005 result (3.75 m €). Due to the flexibility of the company "dangerous situations" such as the problems with the A380 production have been compensated by higher production rates on other programme's such as the Falcon business jets and the Airbus A330. The defence branch of the company also was successful thanks to modernising projects for foreign customers. In the space business it was the Ariane 5 launcher which was responsible for an increase in the planned production rhythm. Sources: De Standaard and l'Echo. The aviation hall of the Aeronautical Department of the Royal Museum of the Armed Forces and Military History ( KLM/MRA link) at Brussels is definitely in need of a thorough refurbishment. Paint is peeling off everywhere, birds enter the building through broken windows and the enormous variations in temperature chase away even our most enthusiastic visitors. The Aviation Hall looks like a large hangar rather than like a modern museum. The authorities have now decided to grant absolute priority to the restoration project. A constructive dialogue has already been established between the Régie des Bâtiments/Regie der Gebouwen (owner) and the KML/MRA and preparatory study is in full swing. Definite plans, concrete projects or precise dates have, however, not yet been established. It is not clear when and to what extent the Hall will have to close down. The KLM/MRA management hopes to take the first concrete steps towards restoration in the summer of 2008. Source: Royal Army Museum. 29/03 - New Belgian Navy frigate with on-deck helicopter landing pad named F930 "Leopold I"
As from Saturday 31 March, Brussels Airport will be the first airport in Europe to implement the new European regulation concerning the assistance of passengers with reduced mobility (PRM). From now on PRM will be helped as soon as they get to the airport (train station, bus station or car park exits) whereas before passengers could only be assisted after they had checked in. In doing so Brussels Airport is the first airport to provide this service, thus anticipating the new EU Regulation that will come into force mid-2008. Every year about 60,000 passengers with reduced mobility use the airport. To ensure that they get the assistance they require, Brussels Airport chose to work with Intergom Airport Caddy, a subsidiary of the Facilicom Services Group (FSG) that operates in Belgium, the Netherlands, France and the UK. The company will provide new employment for about 60 persons at Brussels Airport. The assistance is provided free of charge to passengers who are unable to climb stairs or walk long distances, passengers who travel in a wheelchair or on a stretcher, passengers who are visually or hearing impaired and require assistance, or passengers with an intellectual handicap. Source: Brussels Airport. On April 15th, 2007, at the end of the traditional Easter camps, the Belgian Air Cadets gliding centre of Zoersel-Oostmalle will be closed and its local Squadron (EBZR Sqn) disbanded. The NATO reserve air base of Zoersel-Oostmalle (EBZR - link http://www.scramble.nl/airports/publish/ebzr.htm), is mainly used for recreational purposes and houses an Air Cadet centre/unit since May 1961. Anyway the Belgian Air Cadets will activate a new gliding centre and a new squadron (EBBX Sqn) at another Belgian NATO reserve air base the one of Bertrix on April 21st, 2007 (see also BAHA News of December 12th, 2006). The two Wing Heli A.109BA Hirundo helicopters (H-20 and H-45) that were being deployed on November last (see BAHA News of November 17th, 2006) in Benin - officially to practice flying training in tropical weather conditions -, will kept on the ground until further notice. This was announced by Belgian Defence Minister André Flahaut. The two helicopters had in fact been put at the disposal of the country's president, Thomas Yayi Boni, together with 17 members of the Belgian Air Component as it was in Mr Flahaut's intention to sell four of helicopters of the type to Benin. Recently, the two helicopters were only being used to transport the president on the eve of the elections in Benin (see BAHA News of February 28th, 2006). This way, President Boni was given the opportunity to travel to different places across the country to support local candidates. Opposition members in the country were starting to ask questions about where the Belgian support for the president was coming from. Both the helicopter crew and technicians were pressurised into continuing the flights even when the helicopters showed technical problems. The Belgian crew compiled a complaint report which was next handed to Mr Flahaut. Sources: VRT Flandersnews, De Gentenaar and Mil. Be FR & NL. 25/03 - Wevelgem Airport is 90 years old! Also known as International Airport Kortrijk-Wevelgem (EBKT), this domestic airport was first established at Kortrijk-Bissegem by the German occupation forces in 1916. 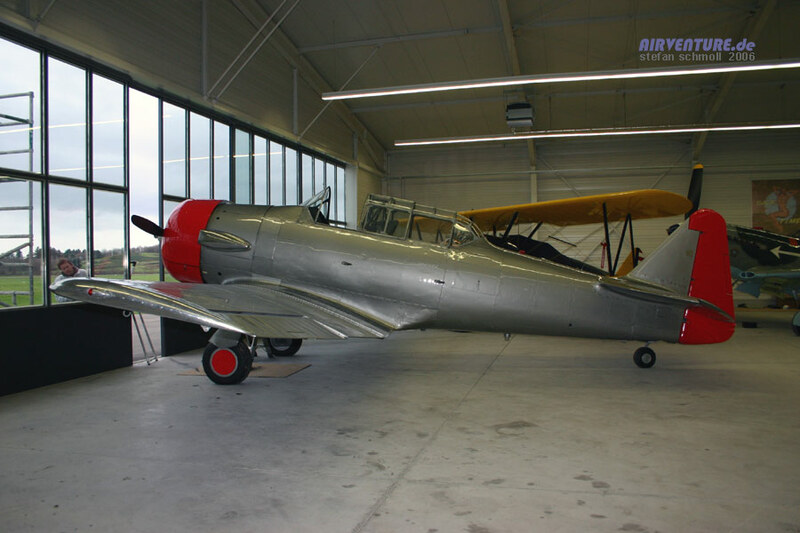 Between 1924 and 1940, the airfield became the home base of the Belgian Aéronautique Militaire Flying School. During WWII it was once again a German air base and later an allied airfield. After WWII it housed between 1946 and 1970 some Belgian Air Force support units. Since 1973 the airport is full property of the local authorities. On March 25th the Airport authorities celebrated the 90th anniversary of its establishment. A commemorative plate was unveiled in presence of the Commander of the Air Component General Gérard Van Caelenberghe (Picture). A small static display including some Belgian military aircraft was also organised. Were observed on that day: A-68 SA.318C Alouette II of Wing Heli, F-GPCJ Fouga CM170 Magister, F-PXDT Rotorway Executive 162F, G-15 MD520N Federal Police, LX-VAZ Cessna 550 Citation II, M-3 SA.316C Alouette III/40 Sqn, N129EW Piper PA-28R-200 (crash landing! ), OO-AWC Cessna F152, OO-D98 ATEC Zephyr 2000C, OO-FBI Robin DR400/120, OO-GTS Robin DR 400, OO-ISE Cessna T303, OO-JDA Robinson R-22B, OO-LVT Mooney M20J, OO-PAJ Schweizer 269C, OO-RBBRobison R.44, OO-RDN Bell 206B JetRanger II, OO-TMT Piper PA28-161Warrior, OO-TUJ Cessna 177RG, OO-VCU Piper PA-28-161 Warrior, OO-WAN Grumman AA5 Traveller, RS-02 Westland Seaking Mk.48 / 40 Squadron, ST-17 SF.260M Marchetti / N°1 Wing (Overview picture). Sources:Airshows.be & Westwings. 25/03 - Inaugural flight for Brussels Airlines. On Sunday March 25th 2007 Boeing 737-4YO OO-VBR of Brussels Airlines arrived at Brussels Airport at 13h40L after completing the first official flight of the new Belgian airline. Flight SN3814 coming from Lisbon, Portugal flown by Capt. Duvivier and co-pilot De Muylder together with 4 other crewmembers and 151 passengers were welcomed in style at Zaventem, courtesy of the airport's fire brigade. Picture by Dirk A. Geerts.and more here.. This event completed the merger process of SN Brussels Airlines and Virgin Express or nearly... several aircraft of the company still wearing the SN Brussels Airlines livery (like Avro RJ85 OO-DJP (ASA website) or Airbus A330 OO-SFN were quickly taped with stickers at the color - Fourteen balls B-logo - of the new company. Furthermore this celebration day was soured somewhat by staff taking industrial action. Stewards, stewardesses and other personnel refused to wear their new Brussels Airlines uniforms in protest at changes made to their pay and conditions. Negotiations between management and the trade unions entered an impasse, after Brussels Airlines' bosses insisted on the introduction of shorter turn-around times between flights. SN Brussels Airlines allowed 40 minutes to get the plane ready for the next flight, while Brussels Airlines expects its staff to get their plane ready in just half an hour. The unions say that this simply isn't long enough and want management to reconsider. Sources: La Libre, De Standaard and VRT Flandersnews. As every year, the commercial event called the "Night of Exclusive", attracted some helicopters on the Knokke-Heist beach on March 24th. Star of the show was 40 Squadron Seaking helicopter RS-02. Were recorded: N443DC R-44 Astro ; OO-HPP EC.120B Colibri; OO-MTM R-44 Raven II; OO-RBB R-44 Raven I; OO-WER EC.120B Colibri; PH-CHC R-44 Raven II; RS-02 Westland Seaking Mk.48. Source:Westwings and pictures on Westwings. Rather unhappy with the Brussels Airport new charge policy and service offer Thomas Cook Airlines Belgium (TCA) has announced it might transfer part of its flights from Brussels Airport to Brussels-South Charleroi Airport where a brand new terminal is under construction. Three airlines have already expressed interest in the site of the old building. TCA is reported being one of them. TCA currently flies from Liège, Oostende and Brussels. The airline represents 6% of the of Brussels Airport passengers. Source: De Gentenaar. The event took place On March 24th, on a flight from Brussels to Algiers which had a stopover in Toulouse (France). A French passenger suddenly tries to get into the cockpit of the Brussels Airlines aircraft to crash it on the ground. He was quickly overpowered by two other passengers and kept under control until the plane could land. Geert Sciot, the Brussels Airlines spokesman, confirmed the story. "The report from the chief officer on board says the man was psychologically disturbed. He told police that he 'wanted to be closer to God.' He could be sentenced to a maximum of a year in prison and a 1,000-euro fine," says Sciot. The man had no chance of getting into the cockpit, the spokesperson said. Sources: Expatica, La Libre & Het Belang van Limburg. On March 24th After two days of break Brussels Airlines has decided to resume flights and sale of tickets to Kinshasa (Democratic Republic of Congo), where tension has dropped after the newly elected President Joseph Kabila governmental forces clashed with those of its challenger Senator Jean-Pierre Bemba. Sources: Het Laatste Nieuws & Luchtvaartnieuws. As from the new summer season Brussels Airport is to serve a vast network of no less than 203 direct destinations including no less than 120 low fares destinations. The fact that Brussels Airport since a few years ranks among the best airports in Europe in terms of quality (first in the ACI category Best Airport in Europe 2005, second in the ACI category Best Airport in Europe 2006, ACI "Airport People Award" for 2006 - see BAHA News of March 12th) in no way has lessened the airport's efforts to provide an attractive flight offer to its passengers. The low-fare market segment offering the best passenger growth potential the airport management has offered attractive conditions to budget and charter airlines like Sky Europe, EasyJet, Corendon, Flybe, Thomas Cook Airlines and JetairFly. For the first time the airport has launched its own low-fare campaign. An extensive poster campaign at the airport and the Brussels Airport website refer to a new brochure in which passengers will find an overview of cheap destinations that are served directly from Brussels Airport. Source: Brussels Airport & De Gentenaar. Two F-16 Fighting Falcons of the Air Component's 31 "Tiger" Squadron (one F-16AM FA-87 (Picture at "Snow Tiger") and one F-16BM (Picture at Swiss WIngs) participated at the Meiringen air base open days in Switzerland on March 23rd and 24th. The rather special and demanding approach procedures to this Alpine air base, located in the Berner Oberland between Brienz and Meiringen, was prepared by a visit of Swiss Hornets at Kleine Brogel on February 26th, 2007 (See BAHA News of February 26th). Meiringen air base was officially established on December 1st, 1941. Today it is used by the Swiss Air Force Fliegerstaffel 11 "Tiger" with their F/A-18 Hornets and the Fliegerstaffel 8 with their F-5 Tiger II. A report about this event can be found at: www.swiss-wingw.ch. A list with new postings within the Air Component has been made public and include the following assignments: 1st Wing CO: Col Avi BEM Ir P. Laurent replacing Col Avi BEM T. de Schrevel, 10th Wing TAC CO: Kol Vl SBH C. Van De Voorde replacing Kol Vl. SBH P. Wouiters, 15th W LuTpt CO: Kol Vl SBH Ir B. Flamang replacing Col Avi Ir J. Lippens. The airframe of the former Belgian Air Force/Air Component Lockheed F-16A Fighting Falcon FA-46 was transferred by special convoy from the Rocourt's Centre of Competence for Rolling Material and Armament to the nearby Techspace Aero plants at Milmort near Liège. Between March 19th and 22th Air Component's technical teams were busy assembling the machine in order to put the aerospace company new gate guardian in place. So thirty years after setting up in the Hauts-Sarts industrial zone at Milmort, Techspace Aero has been entrusted with the plane for which it made and assembled almost 600 engines (Pratt & Whitney engine F100), not to mention the maintenance carried out on over 5000 engine modules to this day. All this was achieved due to business built up with 14 air forces around the world. In 2004 the Fouga CM170R Magister MT-30 (picture by Jos Schoofs) was placed on the Milmort roundabout, in collaboration with Herstal¹s local authorities and the Belgian defence. Now, this other magnificent aircraft, witness to the know-how of an entire generation of workers, has been put at Techspace Aero¹s disposal. It is also funny to note that the FA-46 was officially delivered to the Belgian Air Force on March 30th 1982 so exactly 25 years ago! Sources: Jos Schoofs. & Techspace Aero. Picture here. Considering the recently announced British Airways major expansion plan at London City Airport (LCA) some newspaper speculated that it is possible the carrier will launch a bid on the LCA largest operator: VLM Airlines. A rumour quickly denied by Jaap Rosen Jacobson who controls Panta Holdings, the Dutch holding comprising ACMI specialist Denim Air and Antwerp-based VLM Airlines "There has been no negotiation with BA on this subject" and did not want to confirm he held negotiations with BA regarding BA Connect. Source: Luchtzak & ATW Daily News. Through some articles in the press it appear that Noordzee Helikopters Vlaanderen (NHV) might be interested in taking over a part of the SAR role currently fulfilled by the Koksijde based 40 Squadron and its famous Seaking helicopters. A rather complex matter as the Belgian SAR organisation has to comply to several international treaties under supervision of the United Nations, especially the International Civil Aviation Organization (ICAO) and the International Maritime Organisation (IMO) as well as the military (NAT0) SAR-needs. Behind the NHV - still unofficial - offer emerge the sensitive Belgian SAR privatisation debate in the framework of the budgetary difficulties faced in the purchasing process of the new and desperately needed Seaking successor, the NH90. Sources: Het Nieuwsblad & De Standaard. Nine young student pilots received their licence of Belgian military pilot and the accompanying Wings during a ceremony held at Beauvechain airbase on March 14th, 2007. After their operational training, four of them should become jet pilots (William Daniel, Senne Helsen, Nico Steens, and Steven Van Der Vorst), three transport pilots (Sébastien Delaunoy, Inge Huyghebaert, Pieter Palmans) and two helicopter pilots (Filip Peremans, Robrecht Ulenaers) at the Air Component. This graduation parade ended with a fly-past of some Air Component aircraft including four A.109BA Hirundo, four SF-260D, one C-130H Hercules and four F-16s. For details and pictures, see BAHA Special Feature "Wings for Classes 03 and 05 RMA at Beauvechain" . http://www.airventure.de/newspics/Jaks_Freiburg_1_07/Freiburg_06_Harvard_Motor.jpg. Sources: Flypast and L.H. The Sabena Flight Academy-Development (SFA-D), a department of the Belgium-based flight training organisation SFA, has developed a system for making Level D Full Flight Simulator (FFS) motion systems reproduce more precisely the sensation of flying an aircraft. FFSs have always been harder to "fly" than the aircraft they represent, which leads pilots to develop "strategies" for coping with the simulator's motion systems rather than learning the aircraft's flying characteristics. The new system could revolutionise zero flight-time pilot training by making handling more lifelike and effective. The company has applied the "control method", dubbed Lateral Manoeuvring Motion (Lm…), to a 20-year-old Boeing 737-300 FFS. Source: Flight International. Air and Land Components will conduct low level flying exercise over the Province of Luxembourg under code name Green Hill 01/2007 between March 5th & 9th. The purpose of Green Hill type exercise is to train Air Component's F-16 pilots and Land Component's Forward Air Controllers (FAC) in working together. All the Green Hill 01/2007 targets and Low Level Flying Areas (LLFA) will be located in the Champlon -­ Hubermont -­ Lavacherie-Warempage (North Zone) and Bonnerue - ­ Remagne -­ Ste-Marie-Chevigny-Blanchipont (South Zone) areas. Air operations will be lead during day-hours (between 10h00 and 17h00) and depending on weather conditions. Sources: Mil.be in FR & NL and the Baha Special Feature: "Low flying exercise" - by Jos Schoofs. Every day of the year two Westland Seaking Mk.48 helicopters of 40 Squadron are on stand-by to take-off within 15 minutes at their homebase of Koksijde. During night time this is only slightly reduced to one helicopter and the possibility to have a second one in the air within an hour. This service towards the population is very expensive to maintain but incredible efficient and continuingly proves to be more than necessary. The Air Component website provides following details over the 40 Squadron SAR Seaking helicopters scrambles of February 2007. - Winching and transport to Brugge university hospital of a wounded sailor of cargo ship "Ocean Dignity"
In one of his recent interviews, Defence Minister André Flahaut, has announced that Niger is showing interest in acquiring some SA.318C Alouette II helicopters from Belgium for the aerial spraying of pesticides on migratory locust infested areas . A total of nine of these vintage helicopters (A-49, A-53, A-55, A-57, A-65, A-66, A-68, A-78 & A-79) are still operated for liaison duties by the Wing Heli at Bierset while several flying time expired Alouette II's are stored at Zutendaal Deposit Center. The last Alouette II are operated by the Wing Heli Flying Group upon request as its dedicated unit, the Liaison Flight (FL Ln) - that inherited the old Jay emblem of the 16 Esc Lt Avn - , was disbanded on July 25th, 2006. Depending on the different options currently proposed the type should be withdrawn from use with Belgian Defence in 2008 or 2011. Back in November (see BAHA News of November 17th, 2006), at the express requirement of the MoD the Wing Heli shipped two of its A.109BA Hirundo (H-20 and H-45) helicopters to the African state of Benin allowing the local authorities to preview the type's capacity to fulfil an existing known requirement from the local government for Presidential transport duties. Officially presented as a way to providing flying experience in a tropical environment for the Belgian pilots this deployment was extend on January last (see BAHA News of January 10th, 2007). But the participants to these flying training sessions have quickly discovered that their first mission was the transport of Benin President, so definitely not in accordance to their official mission and the usual salary allowances given, to military on mission abroad. This was publicly revealed through many reports in the daily press relayed by the military trade unions. In the meantime the Minister of Defence has announced Benin interest in acquiring four (and not only two) A109BA Hirundo and 18 M113 armoured personnel carrier from Belgium. Nonetheless the deal is not yet concluded as Benin has offered just 700.000 € per A.109BA while Belgium expects 1,7 million € per helicopter. If the deal is going on it is already programmed to give Benin some Wing Heli operational aircraft, the nine stored Hirundo requiring a long depot-level maintenance and repair work. It is also reported that Hirundo H-02 and H-33 are the first candidates earmarked by Wing Heli specialists for the deal with Benin. The second horizontal tail plane (HTP) for the A400M future European military transport aircraft departed from EADS CASA plants in Seville, to testing facilities in Getafe, Madrid (see also BAHA News of December 20th, 2006). This second HTP will undergo structural testing required for the aircraft¹s certification. In the meantime the French Armée de l'Air and the Royal Air Force have signed on February 20th at the Waddigton Air Warfare Centre a memorandum of cooperation in the framework of the A400M testing programme. The seven A400M ordered by Belgium are intended to replace from 2018 onwards the C-130H Hercules of Air Component's N°15 Transport Wing/Tactical Transport Flight (TTF or ex-20 Squadron). Sources: EADS and Armée de l'Air. At the start of the new Rotterdam ­ Manchester service, VLM-CEO Johan Vanneste announced that the company will add another two Fokker 50¹s to its fleet. One aircraft will come from sister-company (through Panta Holding) Denim Air. The second one is to come from a currently unknown source. After the arrival of both these aircraft the VLM fleet will count a total of no less than 21 Fokker 50’s. VLM Airlines chose the Fokker F50 right from the start, due to their high reliability and their low direct operating costs, especially the low fuel burn. Sources: Luchtvaartnieuws and ASA. 26/02 - Swiss F/A-18 Hornets on visit at Kleine Brogel airbase. Two Swiss Air Force F/A-18C/D Hornet fighters (J-5014 & J-5237) paid a visit at Kleine Brogel airbase on Monday 26 February 2006. Their aim was to explain the rather special an demanding approach procedures to their mountainous base at Meiringen as 31 Squadron is sending an F-16AM delegation to the base's Tage der offenen Tür on 23/24 March 2007. On these days the Swiss Air Force Tiger Squadron the Fl St 11will officially unveil its new tigered F/A-18C (J-5011 - http://www.skynews.ch/) Picture of F-18D J-5237 at Kleine Brogel. The Management Unit of the North Sea Mathematical Models (MUMM) Britten Norman BN.2A Islander OO-MMM (former Light Aviation: B-02/OT-ALB) operated on pollution control duties out of Antwerp Airport has received a new logo on its tail (see also BAHA News of January 12th, 2007 and BAHA Special feature). This blue square with Belgian spots is the logo of the federal department of Belgian Science Policy. Thanks to this permanent North-Sea aerial survey the MUMM has observed a noticeable reduction in recorded pollution cases over the last few years. Source: http://www.asa-be.com/ and picture of OO-MMM wearing the new logo on its tail. BIAC, the company responsible for running Brussels Airport, has come under fire for the way it dealt with a bomb scare there on February 23rd. The airport was startled by a false bomb scare. In the subsequent chaos, it became clear that the airport did not really have an evacuation plan. Many passengers complained they were sent from pillar to post and that they were left without any information about what was going on. Even the airport security staff was in the dark as to the procedures they needed to follow. The Airline Operators Committee that unites all companies at the airport now says there hasn't been a general evacuation exercise in 16 years. Sources: VRT-Flandersnews 01 & 02 and Expatica. A new book by BAHA member Wim Govaerts on the legendary WWII Luftwaffe night fighter ace Heinz Schnaufer called: “Nachtspook van Sint-Truiden" (Nightly ghost of Sint-Truiden) is expected for the end of May 2007. Since many years Wim has made a very thorough research into the life of this exceptional German pilot and its crew members to bring the ultimate biography of Schnaufer. For this Wim interviewed many wartime colleagues and was granted exceptional and unrestricted access to the Schnaufer archive. A work which should be on every bookshelf of military aviation history enthusiasts. Click here to see the presentation flyer in pdf format. The trial of a whole series of defendants held responsible for the demise of the Belgian flag carrier Sabena continues before Swiss magistrates in Bülach near Zurich (see also BAHA News of January 15th, 2007). In all nineteen people including several leading Swiss business people are being called to account. They stand accused of mismanagement and providing misleading financial information. On February 20th Sabena's counsel Stefan Rutgers addressed the court accusing Sabena's erstwhile partner Swissair of obliging the Belgian company to buy Airbuses in 1997 instead of Boeings to renew its fleet of aircraft. The lawyer maintained that Sabena was made to switch to the Airbus in order to benefit Swissair's maintenance subsidiary, SAirTechnics, which was specialised in this type of aircraft. Sabena's fleet consisted mainly of Boeings and its maintenance division Sabena Technics was an expert in doing work on this type of aircraft. He also accused the Swiss parent company of consciously organising a transfer of funds from Sabena to Switzerland. Source: VRT-Flandersnews. On February 20th, VLM Airlines has launched an internet check-in facility for its passengers. At the same time, the carrier has enhanced its website at www.flyvlm.com and revealed that it will be introducing check-in kiosks at Manchester Airport. Internet check-in will allow VLM Airlines¹ customers, many of whom are business travellers with hand luggage only, to check-in from the comfort of their own home or office up to 30 hours prior to departure. Sources: VLM, Het Laatste Nieuws and De Standaard. On February 19th, the Antwerp-Deurne based airline VLM welcomed its 1,000,000th passenger to London City Airport. The lucky passenger was a woman from Bedfordshire (UK) who was on her way home from a city break in Antwerp. The 1,000,000th client was presented with a bottle of champagne and a gift voucher for a weekend deal in Antwerp as well as 2 VLM return tickets. The very first VLM flight from Antwerp-Deurne to London City took place in 1993. Some 14 years later, the route is used by one million passengers. VLM expects the number of passengers will continue to grow. Source: VRT-Flandersnews and 7sur7. 19/02 - Mobility Minister bans flights over nature reserves and industrial estates by ULM, gliders, etc. Six European States and seven air navigation service providers - including Belgian Belgocontrol - have convened the first International Stakeholder Forum in Brussels on February 16th to inform all parties involved about a future new cross-border airspace structure in the core area of Europe. With the Single European Sky, the European Commission has called for the creation of so-called Functional Airspace Blocks (FABs) in order to respond to the challenges resulting from growing air traffic in Europe. These blocks of airspace would be organised according to traffic flows rather than national boundaries. Belgium, France, Germany, Luxembourg, the Netherlands and Switzerland as well as the Eurocontrol Centre in Maastricht are currently conducting a Feasibility Study to determine how a common airspace block - to be called FAB Europe Central - would meet the goals set by the European Commission. Once the feasibility study has been completed as planned in 2008, implementation can begin. Source: Belgocontrol. The Belgian Defence website has put online the half time report of its Strategic Plan 2000-2015 in form of downloadable pdf files. Despite their advertising aspects the six chapters of this document present clearly the current structure, budget, material, functioning, future and challenges of the Belgian Defence NL & FR. According to an article published in the February 9th issue of the Belgian financial newspaper De Tijd, Brussels Airport is considering the construction of a brand new separate terminal for the passengers of low cost airlines. The new terminal could be built at the place of the former Brussels’ South Terminal. Its general philosophy would reflect the one of its potential customers (Easy Jet, SkyEurope etc.) so without seats, without toilets, in order to reduce costs. No timing has been set yet. Source: De Tijd. The European Air Group EAG (link: http://www.euroairgroup.org/index.htm) organises in cooperation with the NATO-TLP a Combat Search & Rescue (CSAR) course at Florennes air base between June 8th and 21st, 2007. This two week course will be composed out of three days of theory and six days of live missions, one mission a day. It is aimed at all helicopter and fixed wing aircrew that want to gain experience in Joint Personnel Recovery missions. Already announced participants are: AS.332 Super Puma (Spain), EC-725 Cougar (France), Mil Mi-24 Hind (Czech Republic), AMX (Italy) and E-3D (United Kingdom). This last Control & Command aircraft operating most probably from its home of RAF Waddington. Source: http://www.euroairgroup.org/act_JPR_course.htm. A similar course was already held at Florennes in September 2005 see BAHA Special Feature. On February 7th a 40 Squadron SAR Seaking helicopter was scrambled to support the search and rescue operations launched after the discovery by the Coast Guard of a small capsized sailing boat. Neither crews nor bodies were discovered. The Coast Guard also found in the same area the floating wreck of another small sailing catamaran. They fear the two sailings were stolen by illegal immigrants in an attempt to cross the Channel. Source: De Gentenaar. Sabena Technics, the TAT Group Brussels based subsidiary specialized in civil and military aircraft maintenance has recently signed a 3-year maintenance contract with the international airline Martinair for its entire A320-200 V2500 powered fleet. Under the agreement Sabena Technics will provide full support for this aircraft type. This includes line, light & base maintenance, engineering support as well as component repair services comprising pool access and consignment stock. This contract further reinforces Sabena technics¹ positioning in A320 and Airbus family maintenance services. The first four of 14 F-16AM/BM fighters which have been acquired by Jordan from the Belgian Government for a reported price of 70 million euro have left Weelde DisC Mat for the Maintenance Groups of Kleine Brogel and Florennes Wings were the aircraft are to go through a general overhaul (see also BAHA News of December 20th, 2006). On February 6th, FA-58 and FB-01 headed for Kleine Brogel while FA-90 and FB-08 were to go to Florennes. Unfortunately FA-90 suffered a minor technical problem so that its departure to Florennes was postponed by three days till February 9th. See BAHA Special Feature. In the framework of a French-Italian exchange pilot programme an Italian Air Force Instructor Pilot (IP) of Lecce - Galatina Flying School (61°Stormo SVBIA) has joined on January 2007 the French-Belgian Advanced Jet Training School (AJeTS) of Cazaux (France). Source: Armée de l’Air. As from March 28th Continental Airlines is introducing the Boeing 777 - instead of Boeing 767 - on its daily service Brussels-New York/Newark. This aircraft is configured to carry 48 passengers in Business-First and 235 in Economy. The Province of Limburg is to use in 2007 a helicopter equipped with a spray system to fight against the processionary caterpillar summer invasions. A budget of 25.000 euro is allocated to this aerial survey and crop spraying task. The processionary caterpillar is a unique little furry insect moving over the ground in long head-to-tail processions and to sting with urticating hairs anyone who attempts to molest them that has brought the caterpillars to the attention of the public. It is also one of the most destructive of forest insects, capable of defoliating vast tracts of trees during its episodic population surges. Source: Het Belang van Limburg. Every day of the year two Westland Seaking Mk.48 helicopters of 40 Squadron are on stand-by to take-off within 15 minutes at their homebase of Koksijde. During night time this is only slightly reduced to one helicopter and the possibility to have a second one in the air within an hour. This service towards the population is very expensive to maintain but incredible efficient and continuingly proves to be more than necessary (see BAHA News of January 1st, 2007). The Air Component website provides details over the 40 Squadron SAR Seaking helicopters scrambles of January 2007. Medevac - transports of an injured paratrooper from Heusden-Zolder to Sart-Tilman hospital (see BAHA News of January 31st, 2007). On January 29th EADS Socata announces the notification by the French military procurement agency (DGA) of a contract for the Avionics retrofit of the fleet of Embraer EMB-110 Xingu of the French Military Air Transport Flight School, based in Avord. This contract of a maximum value of 14.2 millions euros over 5 years is divided in two instalments. The first instalment is a firm contract for the study and the retrofit of two EMB-110 Xingu, one of the French Air Force and the second of the French Navy, to a more modern avionics standard. Its main features are an electronic primary flight and multifunction displays, GPS and a mode S with diversity antenna transponder. Upon the success of the first instalment, the second instalment will consist in the supply of avionics kits to retrofit the remaining 39 EMB-110 Xingu. In service since the end of the seventies the Embraer Emb-110 Xingu is operated to train military transport pilot, flight engineers and navigators from France and some participating countries like Belgium. The first Air Component transport pilots were graduated at Avord on February 2006 (see BAHA News of February 3rd, 2006). Source: EADS. Jan van Risseghem, a military pilot who served with the RAF during World War II, later with the Belgian Air Force and became famous as the pilot of Moise Tsjombé in Katanga has passed away at the age of 83. Jan was also known to have flown the famous Katangan Air Force Fouga Magisters in the early sixties and was a well known character at Deurne/Antwerpen Airport in the seventies flying the Aero Survey Aero Commander and Pilatus PC.6. Source: ASA and picture of Jan, courtesy J-P Sonck. On January 28th, Kleine Brogel¹s 10th Wing (CO BE-DET 1: Major Mark Meeuwissen) has taken over command from Florennes¹ N°2 Wing (CO BE-DET 2: Major Thierry Closset) of the COMOPSAIR Detachment at Siauliai (Lithuania) (see BAHA News of December 1st and November 17th, 2006). Since December 1st, 2006, 09h00 local time, and for four months this detachment assume NATO's Air Policing Quick Reaction Alert mission over the Baltic States. This detachment is composed of about 60 people from both Belgian tactical Wings as well as Army and Medical Component equipped with four F-16AM (FA-98, FA-115, FA-124, FA-133) is reported having already performed more than 80 operational missions for a total of over 100 flying hours. Sources NL and FR. On January 11th, the MoD has signed a convention with Sabena Technics for the furniture of a second hand Lockheed C-130 Hercules transport aircraft as replacement for the one (CH-02) lost at Brussels Zaventem Airport in the Sabena Technics Hangar 40 fire on May, 5th, 2006 pictures: (see BAHA News of January 11th, 2006 and pictures at http://jansaircraft.fotopic.net/c1192151.html). It is now reported that this replacement aircraft will be the ex USAF Lockheed C-130E Hercules with serial 64-0552 (c/n 382-4047), build in 1965 and immediately converted into weather reconnaissance WC-130E (picture in its glory time). It was withdrawn from use and stored on July 13th, 1993 as CF130 at the Aerospace Maintenance and Regeneration Center (AMARC) of Davis-Monthan AFB, Arizona. It was purchased by Evergreen Aviation of McMinnville, Oregon (link: http://www.evergreenaviation.com/) in February 1999, registered as N130EV and used as freighter aircraft. 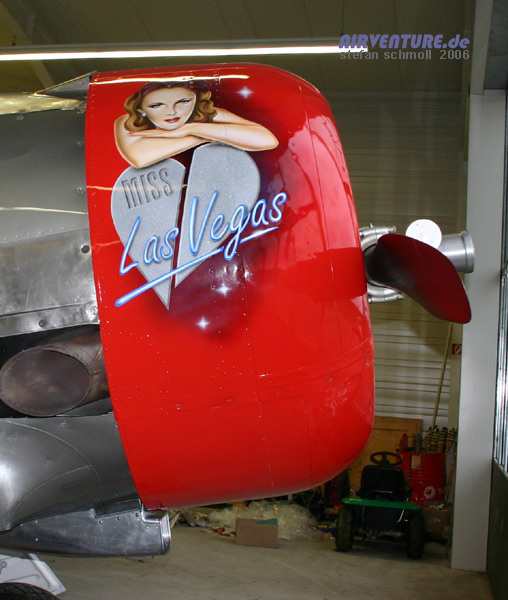 Withdrawn from use, this Hercules is currently on display at the Evergreen Aviation Museum and Educational Institute, McMinnville, Oregon (link). It has a total airframe time of 20,361 hours and should arrive for a Depot Level Maintenance (DLM) at the Sabena Technics Brussels plant in April 2007. The aircraft should receive Belgian military serial CH-14. Picture at Airliners.net and more info at Evergreen Aviation (pdf) and General Equipment Corporation Inc.
Belgocontrol, the autonomous public company in charge of the safety of air navigation in the Belgian civil airspace and at the Belgian public airports, has presented its results for the year 2006. In 2006 Belgocontrol managed a total of 1,075,919 movements, or an increase of 29,753 movements (2.84 %) compared to the previous year. In 2006, Brussels Airport registered a total of 254,770 movements. A quasi status quo compared to 2005, when 253,257 movements were recorded. However, Brussels Airport has not by far reached the level of 2000 - before the Sabena bankruptcy - , when 326,042 movements were registered. In 2006, the four regional airports recorded together a total of 278,212 movements. This number is to be compared to the 271,429 movements in 2005. This means an increase of 2.50 %. Regarding the total number of movements controlled by Belgocontrol, Charleroi ranks first with 87,116 movements, followed by Antwerpen with 75,341 movements, Oostende (68,744) and Liège (47,011). It must be reminded that at Liège, Belgocontrol assures the air traffic control only at night during the week and 24/24h during weekends. The movements controlled by the military by day during the week are therefore not included in Belgocontrol statistics. On January 22nd, the SN Brussels Airlines British Aerospace Avro RJ100 OO-DWL came back home at Brussels Airport being the first aircraft of the type repainted into the new livery of Brussels Airlines (see BAHA News of January 10th, 2007 and picture). It has been immediately followed in the Amsterdam Schiphol Quality Aircraft Painting Services (QAPS) plant for painting in the new company "14 balls B-livery" by her sister ship OO-DWD. Follow this link for pictures of the painting process. The Belgian Defence Sales Service has put up for auction the wreck of the Fairey Britten-Norman BN-2A-21 Islander B-05/OT-ALE currently stored at Bierset air base. This particular aircraft was withdraw from use - with her sister ship B-06/OT-ALF currently on display at the Brussels Army Museum Aeronautical Department - after having suffered structural damages due to corrosive smokes in a hangar fire at Butzweilerhof air base (D) on November 23rd, 1988. Sources: Mil.be FR and NL and the BAHA Special Feature “Islanders for sale”. 20/01 - BAHA's newest publication " Gids voor het Belgisch Luchtvaartpatrimonium" announced. The newest publication by BAHA "Gids voor het Belgisch Luchtvaartpatrimonium" compiled by Frans Van Humbeek is to be released on 21 April 2007. Giving an overview of some 800 monuments, relics and other artefacts related to the Belgian Aeronautical patrimony this study is unique and a complete new approach towards Belgian aeronautical archaeology. More details can be found on the annexed flyer. 18/01 - Dassault Falcon 900B CD-01 equipped with Satcom antenne on top of fin. Belgian Air Component Dassault Falcon 900B CD-01 has been equipped with a new SATCOM antenna on top of the vertical fin. This equipment enables passengers to use a satellite communications link for internet connections in flight. On the annexed picture, the aircraft is seen on 18 January at Niamey, capital of Niger. 17/01 - Antonov ASTC opens maintenance base at Leipzig in support of NATO SALIS An 124-100 aircraft. 15/01 - Weelde Deposit Centre started reactivation process of some 14 stored F-16's. On January 15th the Weelde DisC Mat has officially started the reactivation process of some 14 stored F-16AM/BM Fighting Falcons. On February 5th (with February 6th as reserve day) four F-16 should be ferry flight in two batches of two aircraft to N°2 and 10 Tactical Wing Maintenance Groups for general overhaul. It is also reported that, favourably impressed by the maintenance level of these fighters, Jordan representatives has enlarged their original request of 12 aircraft to the 14 F-16AM/BM stored at Weelde. Anyway it would not be logical to sell only 12 of these stored airframes and to keep only two for sale. Which country might later be interested in purchasing only two aircraft of the MLU/M-2 type fighters? At last, it is dubious that FA-60 might make a ferry flight for its eventual overhaul process as this F-16AM arrived by road to the Weelde DisC Mat after having suffered damage during a crash landing on April 20th, 2004 at El Centro, Southern California, United States (see BAHA News of April 23rd, 2004). The aircraft involved in the deal should be F-16AM: FA-58, FA-60, FA-61, FA-65, FA-66, FA-73, FA-74, FA-75, FA-76, FA-78, FA-88, FA-90 and F-16BM: FB-01, FB-08. Source: BAHA Forum. Sabena curator Christian Van Buggenhout acts without illusions in the Swissair trial starting on December 15th at the Bezirksgericht Buelach court near Zurich (Switzerland). No less than nineteen former bosses from the collapsed Swiss national airline Swissair were going on trial for their alleged role in the dramatic failure of the company in October 2001. The company's ambitious asset-buying spree in the 1990s, with the so- called Hunter Strategy. It involved rapid expansion by buying shares in a number of small European operators such as Sabena, the Belgian airline. However legal experts believe with little evidence of any deliberate fraud, it is unlikely that any individual would receive a prison sentence. Source: Het Laatste Nieuws. 15/01 - SN Brussels Airlines engineers find stowaway body in A330 wheel well after Dakar flight. In the framework of its current active recruitment campaign the Belgian Defence has put it’s withdrawn from use F-16A Fighting Falcon FA-05 static display object at Hooglede-Gits (link: http://nl.wikipedia.org/wiki/Hooglede) along the race track from the 2007 UCI Cyclo-cross World Championships (link) to take place on January 27th & 28th. Pictures of FA-05 in its new environment by Wim Houquet: See BAHA Forum. In the morning of Sunday 14th the visitors of the Belgian MoD website (http://www.mil.be/) were automatically transferred to a pamphlet page: http://www.richtexteditor.org/demo/my_documents/my_files/64F_index.htm. In this page a group calling itself "Turk Forcers" or "The Grandchildren of the Ottoman Empire" claimed in poor English their status of Islam defenders and went on to give their views on the Turkish massacre of ethnic Armenians 90 years ago. The Belgian MoD website was taken off-line by the alert service at about 13h30. It came back on-line two days later on Tuesday 16th in the afternoon. No explanation was given as to how exactly the still unidentified intruder(s) were able to hack into the MoD website. Sources: BAHA Forum, La Libre , De Gentenaar and VRT Flandersnews. The global Dutch express and mail delivery services company TNT Express has confirmed that Emirates will initially fly its second widebody aircraft, a Boeing 747-400ER freighter (OO-THB? ), when it is delivered to TNT Airlines in May 2007. It will be leased out to Emirates while TNT develops its long haul network. The aircraft could operate anywhere on the Emirates network with TNT as a priority customer. TNT¹s first B747-400ER, registered as OO-THA, was delivered on December 21st, 2006 at the company integrator's European hub of Liège-Bierset Airport (See BAHA News of December 21st, 2006). This aircraft will be dedicated to China-Europe route but, under the current bilateral agreement between Belgium and China, TNT is limited to two flights a week. Therefore the OO-THA will be part-deployed on the European network until the end of February, when restrictions ease. Source: International Freighting Weekly. From January 16th a N°15 Wing Tactical Transport Flight (TTF) C-130H Hercules will refuel 8 times and for periods of six days the 4200 litres air transportable Liquid Oxygen (LOX) container provided by Belgium as support to the Dutch F-16AM fighters of the European Expeditionary Air Wing (EEAW) of the (ISAF) in Afghanistan - relocated from Kabul to Kandahar air base on November 11th & 12th, 2006. At a still to be determined period the Wing Heli of Bierset might once again dispatch three A.109BA Hirundo helicopters for supporting the Operation Althea of the European Union Force (EUFOR) in Bosnia and Herzegovina. 2006 is considered as a very positive year by the VLM Airlines management. The airline carried 681,751 passengers in 2006 ­ a 9 % increase over 2005. The Antwerp airport headquartered company attributes its growth to the increase in passenger numbers on existing routes, and the launch of two new routes in 2006. The airline strategy is focussed on passengers travelling for business purposes and offers them time-saving travel solutions, convenient schedules and a true onboard service. Having received the coveted "Regional Airline of the Year for 2006" award from Air Transport World in January 2006, VLM Airlines implemented last year a number of initiatives, such as increased frequencies (up to 13 flights every weekday) on its Amsterdam to London City route and the launch of two new routes: Groningen to London City via Amsterdam, and Antwerp direct to Manchester. At the beginning of November, the airline celebrated another milestone with more than 100 daily flights at London City Airport. Source: VLM. On November 29th, critically injured Russian billionaire M. Suleiman Kerimov was transported from Marseille to Melsbroek by N°15 Wing Embraer ERJ-135 CE-01 (See BAHA News of November 29th). M. Kerimov suffered severe burns after a car crash and was transferred at the request of the hospital of Marseille to the Neder-over-Heembeek (Military Hospital) Burn Center. Answering an MP question the Ministry of Defence, M. André Flahaut, has confirmed the payment of his air transport cost (5.798,81 Euro) by M. Kerimov on December 11th. He also emphasized on the unusual character of this operation and regretted the legal harassment organised by the company Noordzee Helicopters Vlaanderen (NHV) hampering his project to use military helicopters - Seaking as well as A109BA - for medical emergency and transplant organ transport (see BAHA News of April 19th, May 28th, July 28th, 2006). Source: La Chambre/De Kamer . 09/01 - N°15 Transport Wing cabin crews went on "strike"
On January 9th, most of the N°15 Transport Wing cabin crews (stewards, loadmasters and flying mechanics) went on "strike" or more appropriately fall sick altogether, strike actions being illegal for military personnel. Some of their representatives went to the MoD were they expressed their concern about their future status and service primes. As result of this rather unusual action most of the Wing flights of the day were cancelled except an Embraer training flight. Sources: Gazet van Antwerpen and Het Laatste Nieuws. During 2006 the Deurne-Antwerp Airport processed 147.849 passengers or 3,6% more than in 2005. Most of these additional passengers come from the increased VLM Airlines flights. With 55.023 aircraft movements in 2006 the airport notes a status quo. For its part the freight activity presents better results: with 4.664 tons processed in 2005 to 6.825 (+46%) in 2006. Sources: De Standaard and Aviation Society of Antwerp (ASA). 05/01 - New management structure almost operational at Kortrijk airport. The Brussels South Charleroi Airport (BSCA) operator presented 2006 as the year of all records with 2,166,360 recorded passengers, or a 16% increase over the year 2005 which had recorded 1,873,349 passengers. This significant growth results from the launch of no fewer than twelve new destinations during the last twelve months. With 26 weekly destinations, including nine capital cities and over two million passengers a year, Charleroi Brussels South reinforces its position as the N°2 airport in Belgium. The number of aircraft movements recorded at the airport in 2006 reached 66,404, which is an increase of 8.5 percent over 2005. Source: Charleroi Airport and Het laatste Nieuws. On January 3rd, US Airways announces several new non stop services throughout Europe including Brussels from its Philadelphia hub scheduled to start in May and June. US Airways will fly one daily year round round-trip from Philadelphia to Brussels beginning June 1st. All flights will operate with either Boeing 757 or 767 aircraft equipped with Envoy business class seating. Source: US Airways and De Standaard. The SAR Sea King helicopters of the 40 Squadron were scrambled 82 times during 2006 and rescued a total of 45 individuals. Every day of the year some two Westland Seaking Mk.48 helicopters are on stand-by to take-off within 15 minutes at their Koksijde home base. The Air Component homepage provides details over the 40 Squadron SAR Seaking helicopters scrambles of 2006. Sources: Mil.be FR & NL.